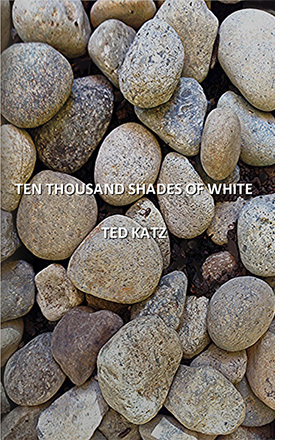 Look inside the mind of a celebrated artist with Ted Katz's poignant new collection, Ten Thousand Shades of White. Following a boy's journey into adulthood, these stories paint a vivid picture of the man behind the art. From a precocious child who cannot get his fill of questions to a passionate teacher and administrator and, finally, to the gifted artist we know today, Ten Thousand Shades of White guides the reader through a life richly lived. Accompanied by many photographs that complement the stories, this collection captures a joyful celebration of life, as well as the silence that follows in the wake of death. Ten Thousand Shades of White is a must-read for anyone who believes in wonder - in the unwavering spirit of creation. This book is available in both paperback and Kindle editions from www.amazon.com.